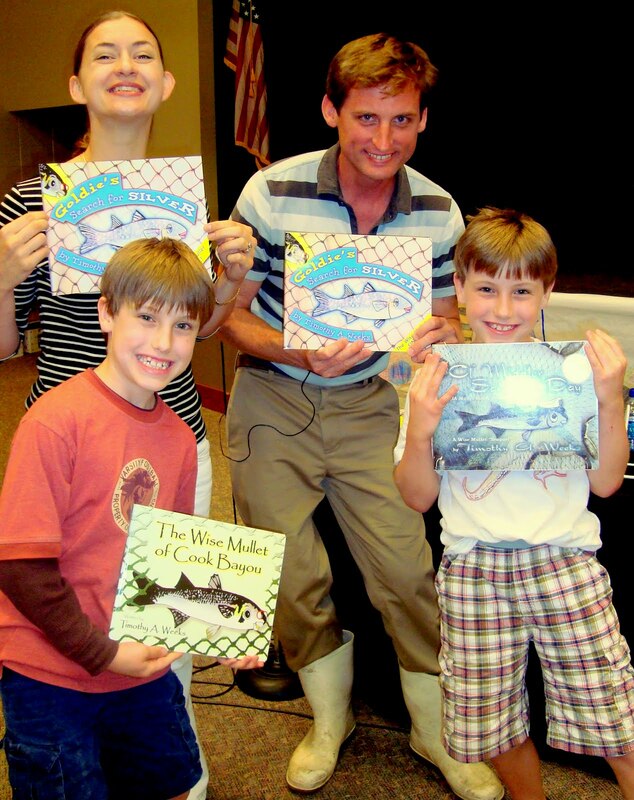 Beginning April 12, Weeks, along with wife and co-illustrator Lala Rascic, read and acted out Goldie’s Search for Silver at Brookwood Forest, Cherokee Bend and Mountain Brook Elementary on consecutive days, bringing the Gulf Coast into the classroom and nurturing a love of reading and inspiration for writing. Other authors included Tim Green, Irene Latham and Mike Artell. This entry was posted in children's literature, Wise Mullet Books and tagged M, Wise Mullet Books. Bookmark the permalink.